4561 Sw Sand Avenue Palm City, Fl 34990 has been sold. You can view available homes in Copperleaf. ENCLAVE AT COPPERLEAF IN PALM CITY! CUSTOM HOMES ON ESTATE SIZED LOTS OVER 1/2 ACRE (.58 ACRE) AND BUILT TO PERFECTION! THIS ''TO BE BUILT'' HOME IS THE ABSOLUTE PERFECT FLOOR PLAN FOR ANY BUYER! CUSTOM CUSTOM CUSTOM! TONS OF UPGRADES AND FEATURES THAT ARE TOO NUMEROUS TO MENTION BUT DO INCLUDE SOLID CBS CONSTRUCTION, COMPLETE WHOLE HOUSE IMPACT GLASS WINDOWS/DOORS, CROWN MOLDING, UPGRADED FLOORING, TREY CEILINGS, BEAUTIFUL CUSTOM CABINETRY, STAINLESS APPLIANCES, SUMMER KITCHEN + 50K POOL PACKAGE ALLOWANCE AND AN ABSOLUTELY AMAZING OPEN FLOOR PLAN THAT IS AS FUNCTIONAL AS IT GETS THAT ALLOWS FOR THE BEST OF ENTERTAINING FOR ALL FAMILY GATHERINGS OR JUST EVERY DAY LIVING! 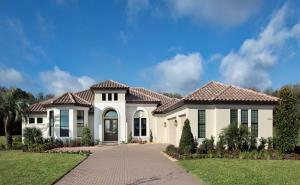 THE ENCLAVE AT COPPERLEAF (GATED) IS ALL ESTATE SIZED LOTS OVER 1/2 ACRE WITH SALES IN EXCESS OF $1,200,000! 4561 Sw Sand Avenue located in Palm City, FL is a single family home with 4 bedrooms, 3 full baths and 0 half baths.The Home at 4561 Sw Sand Avenue was built in 2018 in Copperleaf and offers a 3 car garage. This Copperleaf Home offers pool, tennis, clubhouse, exercise room, community room, sidewalk, street lights. 4561 Sw Sand Avenue Palm City, Fl is currently listed for $850,000 under the MLS# RX-10393475. This Home has been put on the Palm City MLS system and currently has a status of SLD. Copperleaf in Palm City is really a wonderful community in a great city. If you like the beautiful Palm City location but you are not sure about this community. You might like one of the other local communities like Heronwood or Oak Ridge or Stuart West or Cutter Sound or Mid-rivers Yacht & Cc that are located here. Information in regards to Palm City real estate and Copperleaf Homes for sale or any other areas may have come from a cooperative data exchange service. All rights reserved. Information deemed to be reliable but not guaranteed. The data relating to real estate for sale on this website comes in part from the IDX Program of the Florida Regional MLS. Listing broker has attempted to offer accurate data, but buyers are advised to confirm all items. We provide all information about Palm City Homes for sale and Copperleaf real estate and all other site listings as is with absolutely no warranties. This site will be monitored for 'scraping' and any use of search facilities of data on the site other than by a consumer looking to purchase real estate, is prohibited. Feel free to contact our agents to find a great Copperleaf Palm City specialist.